As Singapore grieves the loss of its founding father, Lee Kuan Yew, HRD looks at what attributes made him such a brilliant leader, and what leaders in the business world might replicate from his extraordinary life. Singapore residents and businesses alike will mourn the passing of the man credited with transforming the city-state from a small colonial outpost to the financial powerhouse it is today. 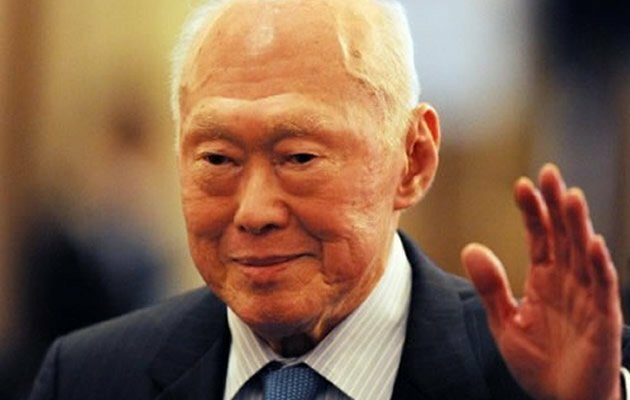 Lee Kuan Yew – a leader many deem as the founding father of Singapore – died from severe pneumonia in hospital just after 3.18am this morning, aged 91. He had been in hospital for the condition since February 5. His death sparked tributes from leaders across the globe – from US President Barack Obama to UN secretary-general Ban Ki-moon – highlighting why he was such an effective leader; attributable, in part, to his relentless dedication to the Singapore cause. Lee led for over three decades – overseeing the separation from Malaysia in 1965 and the city-state’s subsequent transformation into a "First World" Asian Tiger, along with Hong Kong, South Korea and Taiwan. He retired from cabinet in 2011 at the age of 87, and continued to play a significant role in the leadership of Singapore right up until his death. Dean of the National University of Singapore’s Lee Kuan Yew school of public policy, professor Kishore Mahbubani, described Lee as a “tough taskmaster”. In a letter of condolence to Lee’s son, Singapore’s president Tony Tan reiterated how Lee dedicated his entire life to Singapore, from his very first position as a legal advisor to the labour unions in the 1950s. “Few have demonstrated such complete commitment to a cause greater than themselves,” the letter said. One important aspect of his reign – and something countless multinational and local employers alike take for granted today – was his determination to create a highly-educated workforce fluent in English, through investment in schooling. Establishing English as the common working language enabled Singaporeans to have more equal opportunities to learn, communicate and work regardless of race, Tan said. In a statement from the White House, US President Barack Obama said Lee’s views and insights on Asian dynamics and economic management were respected by many around the world. UN secretary-general Ban Ki-moon was one of the first to pay tribute to Lee’s accomplishments, saying he was “deeply saddened” by his death in a statement released this morning. “Lee Kuan Yew was a legendary figure in Asia, widely respected for his strong leadership and statesmanship. “During his three decades in office, he helped Singapore to transition from a developing country to one of the most developed in the world, transforming it into a thriving international business hub. “As Singapore marks its 50th anniversary of independence this year, its founding father will be remembered as one of the most inspiring Asian leaders. Lee’s elder son –current Prime Minister Lee Hsien Loong – this morning declared a period of National Mourning from now until Sunday, with the State flags on all government buildings flown at half-mast during that period. The period will include private family wake today and tomorrow at Sri Temasek, after which the late Lee’s body will lie in state at Parliament House from Wednesday to Saturday, for the public to pay their respects from 10am to 8pm on those days. A State Funeral Service – attended by the late Lee’s family, friends and staff, President Tony Tan, Cabinet Ministers, Members of Parliament, Old Guards, senior civil servants, grassroots leaders and other Singaporeans – will be held at 2pm on Sunday at the University Cultural Centre at the National University of Singapore, followed by a private cremation at Mandai Crematorium. The late Lee’s death is likely to cast a pall over preparations for the city-state's 50th anniversary of independence on August 9.